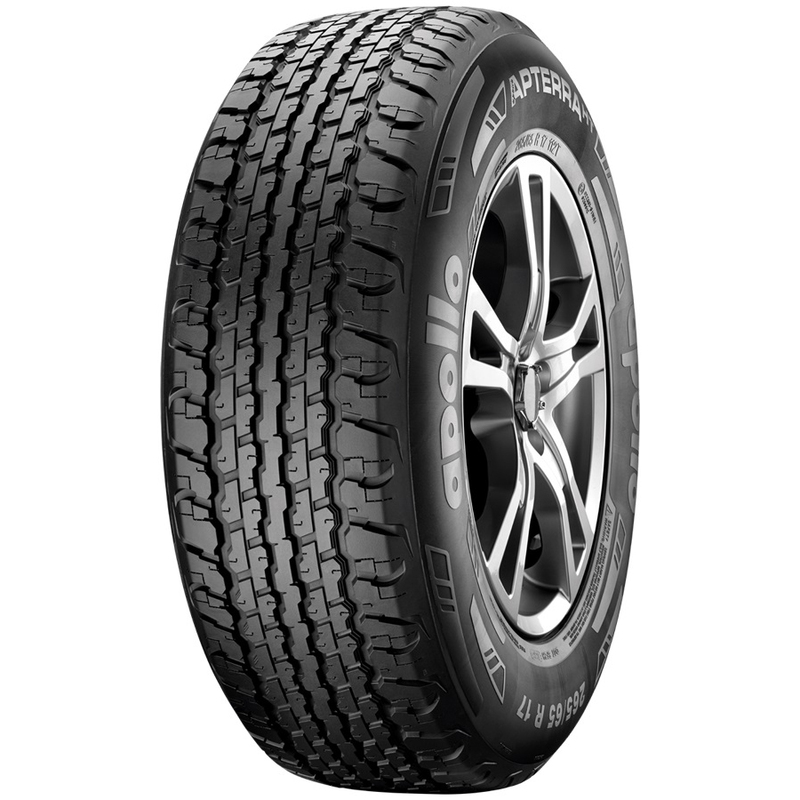 Meant for true blue SUV aficionados, the Apterra H/T gets an uncompromising tread design. One of the solid tyre variants from the Apterra series, H/T offers superb durability on smooth and rough surfaces. The unique mix of hard and soft rubber compound ensures safety during emergency braking and superior cornering at high speeds. The tyre with stiff centre and robust carcass construction at shoulder provides better vehicle control at high speeds and precise steering response. The tyre renders optimized and even grip on the wet and dry road surfaces. With its rugged nature Apterra H/T delivers fine performance under off road applications. The sure footed and dependable SUV tyre is priced reasonably and can be installed to nearly all the 4x2 or 4x4 SUVs. The prominent highway tyre for SUVs gets an aggressive tread design with stiff rib at centre and robust shoulder line. The dual nature of unique rubber compound allows better performance on road and off road applications. Strong construction of the tyre receives firm tread that prevents uneven wear, cut and chipping. Its unique tread design offers quick steering response, durability and long life. The tread sipes and grooves are optimised with FEA (Finite Element Analysis). It provides enhanced safety and optimum off-road performance under wet weather conditions. Apollo Apterra H/T is made available in many width and rim diameter arrangements. One of the most trusted on-road / off-road tyre, it is the first choice of adventure buffs. It fits all the leading mass segment and premium SUVs in the market.